Did you know that J.K.Rowling's first book, Harry Potter and the Philospher's Stone, was rejected by every major publisher in the UK before it was picked up by Bloomsbury? The Harry Potter series are possibly one of the most loved book series ever, and it almost wasn't published. So how many more writers are out there waiting to be discovered and plucked from obscurity? Are there more J.K.Rolwings out there floating around in the void of anonyminity? Since deciding to take my writing a lot more seriously through writing and publishing short stories I have learnt that there are so many great authors out there. You can easily find them through short story magazines such as Sanitarium, Lamplight, Nightmare Magazine and Apex to name just a few. For every literally superstar there are ten others that have yet to receive their much deserved recognition. The good news now with the ability for us writers to self publish is that it's not that hard to find them. The world of self publishing is much like entering Aladdin's cave you may find the odd duff book but you'll definitely stumble across a few gems. And The Lady of the Helm by T.O.Munro is a gem. T.O.Munro is a name that keeps cropping up on many fantasy fiction forums and social media sites. With his debut novel on sale in kindle format for only 99p I thought it utter madness not to give this book a try. Upon buying this I saw the first good sign of a great fantasy novel; a map. Then I smiled and sat back to enjoy the first pages as I knew I was in good hands. The novel starts off in an underground dungeon, a secret mission with far reaching consequences. Admittedly the beginning of this tale starts off with numerous characters being intrduced which is a bit confusing, but trust me when I say it is well worth persevering for a little while. Before I knew it I found I had a story which was impossible to put down. If I'm going to be completely honest I wasn't expecting to find that feeling whilst reading a book that has been self published. I never realised how much of a literary snob I was! Lady of the Helm is set in the fortress mountain city of Sturmcairn in the Salved Kingdom but there are dark forces encircling which frees the dark lord Maelgrum from his 1,000 year imprisonment. The Salved Kingdom's only chance for survival is Niarmit, a young woman who was once a princess of the Salved Kingdom and a priestess but does she want to save the people who wronged her father? Is she up to the challenge? I really like the complexity of the book and the rich characters there's a brooding tension which pulses through the book. 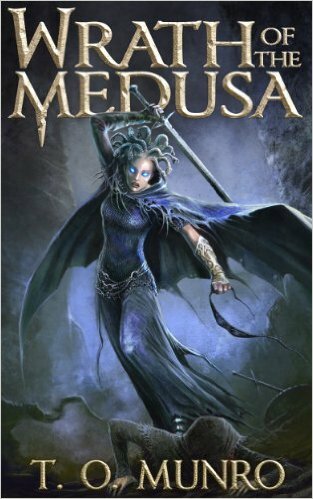 It's an epic sword and sorcery fantasy on the scale of the Lord of the Rings but the Lady of the Helm is also utterly different to Tolkien's masterpiece. There is none of the black and white simplicity of good vs evil you'll find in Lord of the Rings. The 'bad guys' are not actually all that bad. Most of the 'baddies' are just unfortunate people who found themselves in exile for practising illicit sorcery as a harmless hobbie. These people were once normal citizens who had had to fight for their own survival by allinging woth more unsavoury characters. In the poor case of Dema she fell victim to a spell gone wrong and has been locked in a bitter battle to retain her humanity. She had no choice in who to align after being exiled from the kingdom of the salved. Most of these people who have now found themselves on the wrong side have been condemned to exile by the people who are supposedly peaceful and good. These people are only alligned with the force of evil after being forced to do so. This is a complex tale that examines human nature and how small events in our lives can have far reaching consequences. 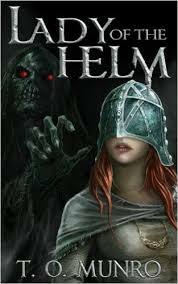 Lady of the Helm, the first instalment of the Bloodline Trilogy also has some great female characters that are strong, powerful and refreshing. 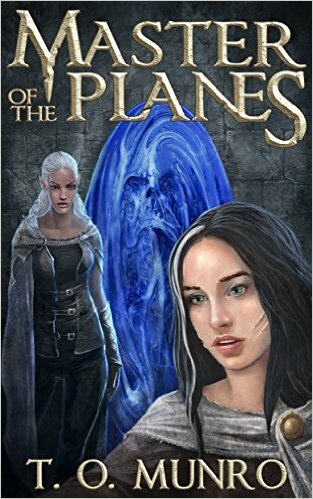 It's a fast paced read free from boring info dumps and cliches. The plot is very cleverly constructed and despite it's complexity is not too difficult to lose track of as you read. For those who love this book you can contnue Niarmit's adventures with book two and three; The Wrath of Medusa and Master of the Planes.